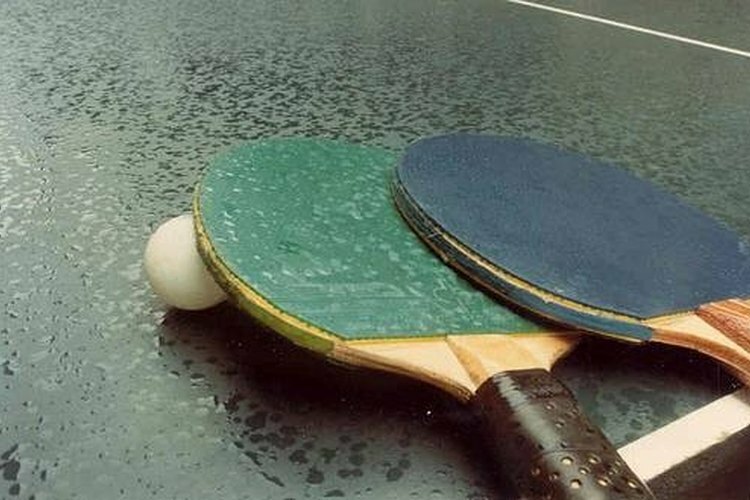 Do you like to play ping-pong but want to win more games? Want more of a challenge than beating up on your family members and friends in casual games in your basement? Or are you having trouble against more experienced players who know how to spin and spike you into submission? Use these tips and practice, and you'll be well on your way to the next level. The more you spin the ball, the harder you can hit it and still keep it on the table. Spin also allows you to curve the ball through the air and bounce it in the direction of the spin when it hits the table. This can easily befuddle your opponent and give you an advantage during the game. Spikes, or slams, quickly help you win a point decisively. If executed properly, spikes are extremely difficult to return. Try to hit a spike cross court in order to decrease your margin of error. Spin is applied by brushing or skimming the ball instead of making square contact. The position of your paddle dictates which type of spin you can put on the ball. Topspin: The player generates a downward force on the ball, forcing it to rotate forward so that the top is moving in the same direction that the ball is traveling. This downward force causes the ball to dip faster toward the table. Topspin allows advanced players to hit the ball hard from below the net and still land the ball on your opponent's side of the table. Topspin is best used for hard and aggressive shots. A heavy backspin stroke executed several feet away from the table creates a "stop and drop" effect that is often used by defenders when playing against topspin attacks. The desired effect is that the forward speed of the ball slows down over the opponent's side of the table, with the ball slowly falling to the playing surface. Backspin is best used when the ball is over the table and you don't have room to swing up and create topspin. Sidespin: This makes the ball curve to the left or the right in midair. The ball drops at the same speed as one hit without spin. Sidespin can be combined with either topspin or backspin. A ball with topspin and sidespin drops faster and curves to the left or right, while a ball with backspin and sidespin tends to drop slowly and curve at the same time. Sidespin will make it harder for your opponent to determine how much topspin or backspin is on the ball. This indecision can force him into making mistakes. Also known as a kill, a slam or smash is hit with little or no topspin on the ball. The objective is to hit an unreturnable shot that allows you to win the point. You should use a "low/high" approach. You want to start low and finish high, coming toward the net more than any other shot in table tennis. You want to snap through the ball, generating more pace than topspin. Often, this shot is hit following a defensive shot by your opponent, so you should have time to set up and execute the slam properly. Jim Anderson is a writer and editor in Omaha with 20 years of experience in the newspaper industry. His professional writing background includes editorials, news articles, feature stories in the Omaha World-Herald and freelancing for Demand Studios. He has a Bachelor of Sciences degree in journalism from the University of Nebraska at Omaha.